Tesla reported a second straight profitable quarter Wednesday, but it apparently came at a price: The company raked in a smaller-than-expected profit thanks in part to a shifting business environment. CEO Elon Musk announced during the report that CFO Deepak Ahuja is among the most recent high-end executives to depart the company. The vehicle maker also said cheaper versions of the Model S and Model X vehicles in China, along with the lower-priced Model 3, offset much of the strong sales. Tesla reported a net profit of $139 million for the three months ended in December 2018, a number that is much lower than the previous quarter. The latest earnings were down from the $312 million profit the company pulled in during the previous quarter. The company’s stock fell 4 percent in after-hours trading Wednesday following news of Ahuja’s exit and the lower-than-expected profits. Those numbers have not climbed much in the early going Thursday, as the company’s stock is still trending downward. Part of the reason for the sales slip might be part of Tesla’s own doing. Tesla has delivered 200,000 vehicles, meaning the automaker will begin running out of the tax credits necessary to keep the electric vehicle market alive. 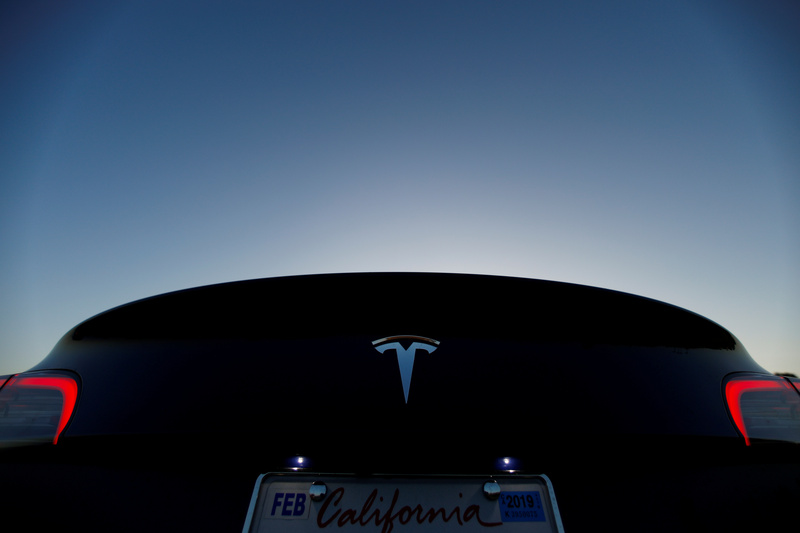 Tax credits for Tesla’s major vehicles will now be reduced 50 percent every six months until it is completely phased out. The change gives rivals such as Mercedes-Benz, BMW AG and Audi AG the upper hand, as they bring electric models to the market with a full tax credit in place. The $7,500 tax credit will drop starting Jan 1, 2019, to $3,750 around mid-year, according to Tesla’s website. GM is entering a similar stage — it is expected to hit the 200,000 vehicle point with sales of its Chevrolet Bolt EV, among other vehicles. Slowly eliminating such credits would still likely harm Tesla. Data shows the elimination of government support could be a possible death knell for the company, especially considering its inability to mass-produce vehicles at the scale of its larger competitors. Some automakers are pushing to extend the credits. A coalition of automakers banded together in November 2018 to create the so-called EV Drive Coalition, which comes as Tesla and GM approach the cap of 200,000 vehicles per manufacturer.